Novo's experienced staff is what sets us apart. With years of experience in both the appraisal and lending industries, we understand that providing world class customer service is what all clients demand. Because of our demand for excellence, Novo employs the best and brightest in the industry. Novo's mission is to break the mold of the typical AMC that only wants to make the most money on every appraisal. 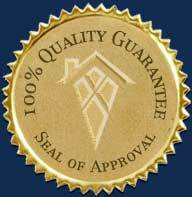 We want to partner with lenders and appraisers to provide the highest quality product that satisfies everyone in the process. It's a win-win mentality that is at the forefront of our mission. "Novo has been an outstanding company...Kim Lown to do business with. The computer system they have in place provides great customer service that keeps us updated on the status of our appraisals on a...."
"Most lenders' primary goal is to...Deborah James to provide great service to clients. Novo's quick response time and speedy delivery of reports is a critical component in our ability to provide..."
"I would really like to thank Novo.Tony DiMatteo I placed 4 orders since Monday and every Realtor was contacted immediately. 3 of the 4 have already been inspected and 1 came back in 2 days..."
Copyright © 2019 Novo Appraisal Management Corporation.